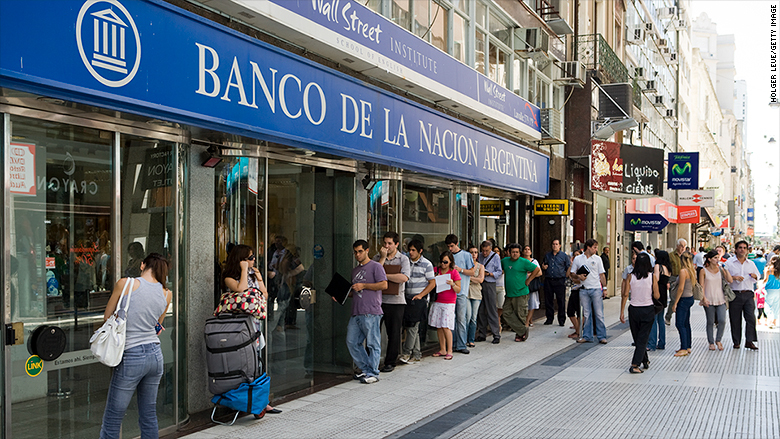 The International Monetary Fund is stepping in to help Argentina with a $50 billion line of credit. The IMF said Thursday that its negotiators have reached three-year agreement with the Argentine government, which reached out to the fund for assistance about a month ago as its currency plunged. The deal still needs approval from the IMF's executive board, which will examine Argentina's economic plans in the coming days. IMF Managing Director Christine Lagarde said the fund supports Argentina's plan to try to cut its budget deficit and bring down soaring inflation. "As we have stressed before, this is a plan owned and designed by the Argentine government, one aimed at strengthening the economy for the benefit of all Argentines," Lagarde said. The IMF has been known to offer countries flexible lines of credit as a way to reassure markets they are following economic policies approved by the Washington-based fund. Countries can tap on the credit line at any time. The Argentine peso has dropped about 20% against the dollar since late April. Argentina's President Mauricio Macri said last month that assistance from the IMF would allow the country to "face the new global scenario and avoid a crisis like the ones we have faced before in our history."